Minimum stay of 7 nights required. *Blackout dates apply. Prices are per person, based on twin share and in AUD. Please confirm with your travel specialist the exact pricing and availability at your desired booking time. 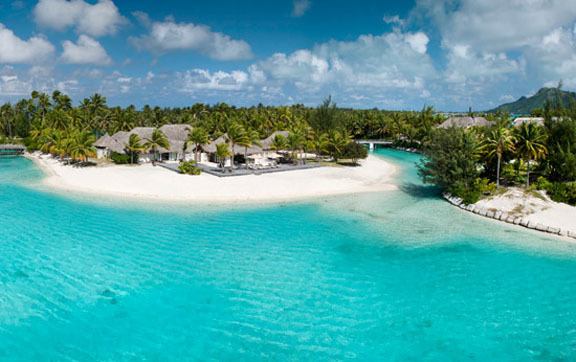 The St Regis Bora Bora, also known as the St Regis Resort Bora Bora, is the epitome of luxury and exclusivity. This haven of tropical beauty features an ultra private selection of villas that range from 1,550 square feet to 13,000 square feet. All villas are suites with spacious bathrooms & dressing area, separate lounges and bedrooms luxuriously designed in exotic noble woods, fine Polynesian handmade sculptures & Italian marble. Guests can enjoy a range of facilities including private terraces, gazebos, whirlpools, private gardens, plunge-pools, private beach access, and much more. Reaching out across 44 acres of lush landscaping edged by powdery white sands and a crystalline lagoon, The St Regis Bora Bora Resort offers the largest accommodations in the South Pacific and matches the blissful Polynesian paradise with flawless signature service. Rising in the distance, the towering majesty of Mount Otemanu is an ever-present symbol of the lofty luxury and impressively personalised service that are the hallmarks of St. Regis. 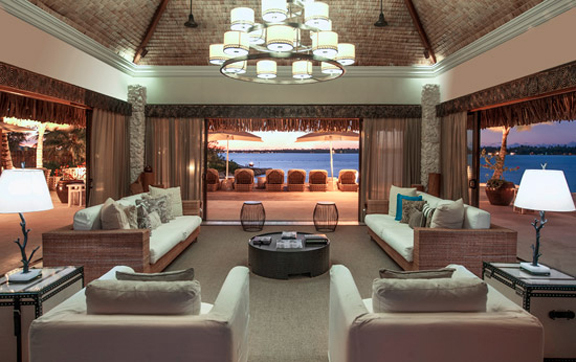 The St Regis Bora Bora also has a 13,000 square foot newly rebranded CLARINS spa is nestled on its own private island in the Resort’s lagoonarium and features luxurious Polynesian, Asian and CLARINS Touch treatments.